Nearly a year ago, Paris, France experienced the worst terror attack in history at the hands of ISIS psychopaths. From that day forward, Europe has been absolutely demolished and taken over by refugees, Islam, and ISIS terrorists hiding and waiting to carry out their next attack. Since the refugee crisis, France has accepted 13,000 refugees, but many experts argue that number could be much higher given that many are sneaking in and out covertly. Nevertheless, France has been experiencing many problems with refugees, and it has led to officials afraid they are going to lose their country. They are unskilled, costing a lot in taxpayer funds, they do not work, they are sucking welfare programs dry, and many have been linked to ISIS. French authorities have issued several warnings that they suspect many to have ties to ISIS and are worried another large scale attack is in the near future. 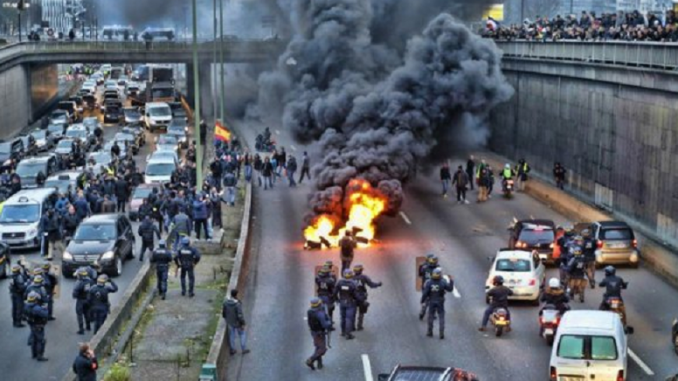 With that, French authorities have begun to prepare for a “civil war” against Muslims in order to “clean up” their country, according to prominent author Éric Zemmour, who claims a high ranking government source told him of the plan.